24+ Seeds (Larger Quantities also available). A WICKEDLY beautiful plant! 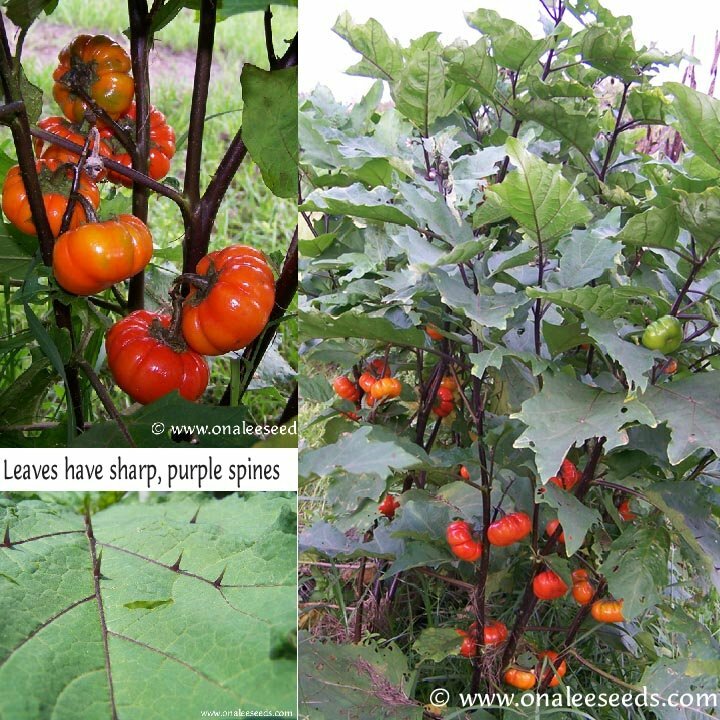 An old fashioned heirloom with dark purple stems and sharp purple spines on blue-green serrated leaves, this plant gets pumpkin shaped fruits that change from green to orange to tomato-red as they ripen, these make a colorful addition to your garden or landscape! The fruits on these plants are used in the florist trade in flower arrangements, so you know they make excellent cut ''flowers''! 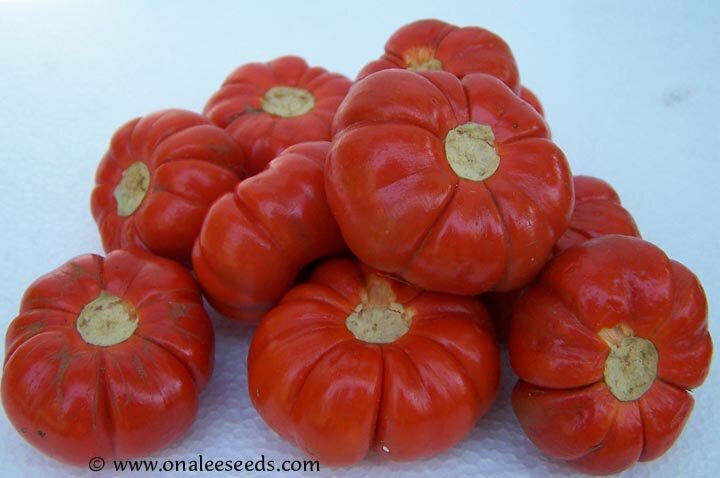 You are buying 24+ seeds for an unusual and showy annual: Ruffled Red / Red Ruffles Egg Plant or Pumpkin Tree, (Solanum Integrifolium) (aka: Hmong Red or Tomato Egg Plant). Larger quantities of these seeds are available, check the drop down box. Planting instructions will be included with the seeds. I have tested these seeds for germination with very good results. The fruits on these plants are used in the florist trade in flower arrangements, so you know they make excellent cut 'flowers'! This is a WICKEDLY BEAUTIFUL plant, even before it begins flowering or setting fruits, the bush itself has dark purple stems and blue-green serrated leaves which are embellished with purple veins and sharp purple spines along the veins, like a medieval sheild! 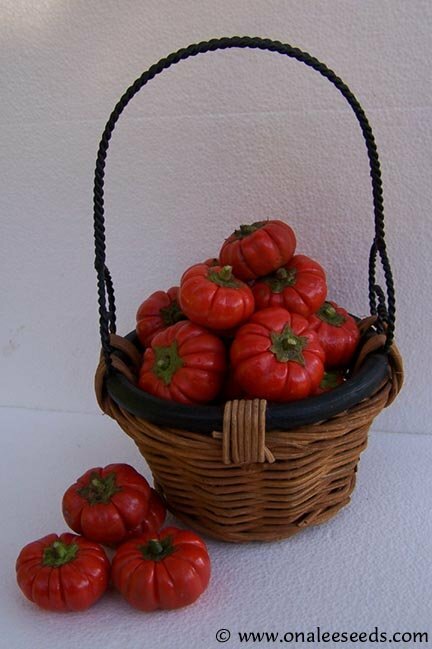 The 2 wide pumpkin shaped fruits change from green to orange to tomato-red as they ripen and really set off the purple stems! These make a colorful addition to your garden or landscape! I understand that the fruits, in the green stage, are also edible (but I haven't personally tried them! ), said to have a bitter flavor used in Southeast Asain cuisine. These can be grown in containers (so you can place them strategically for best effect!) or in the garden or landscape need full, or a good amount of sun each day (these take FULL FLORIDA SUN and LOVE IT! ), and have average water needs. The bushes reach 36 - 48 tall and 24 - 30 wide. The spines on the leaves are sharp, so plant with that in mind. Larger quantities are also available - check the drop down box.